Do you have activities that you use to actively engage your students in Math Vocabulary? Do you use activities to practice Math Vocabulary? 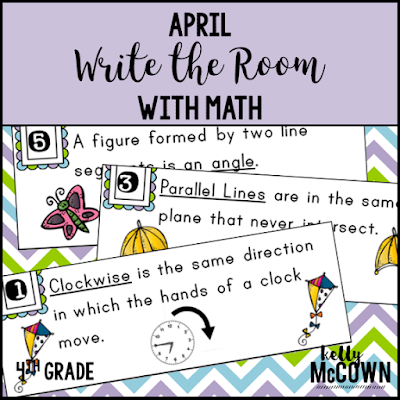 If you need activities to help your students with their Math Vocabulary, here are some great resources for the month of April. Get students moving, talking, and writing Math Vocabulary in your classroom with this set of Math Vocabulary Sentences. The purpose of this resource is to help students with increasing their mathematics vocabulary. Students write the Math sentences on their paper with scaffolded practice. Students are provided a list of vocabulary words to use to complete the sentences. Students will be engaged and more confident practicing using math vocabulary. 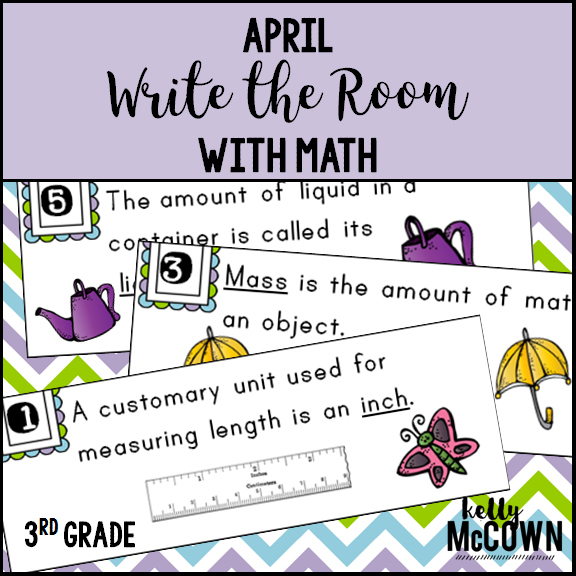 This NO PREP Write the Room vocabulary activity can be a success in your classroom too! Available for Grades 3, 4, 5, and 6!